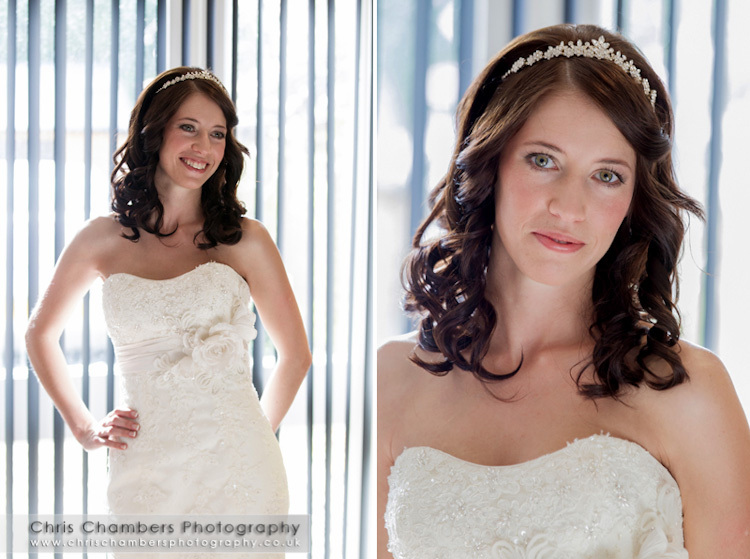 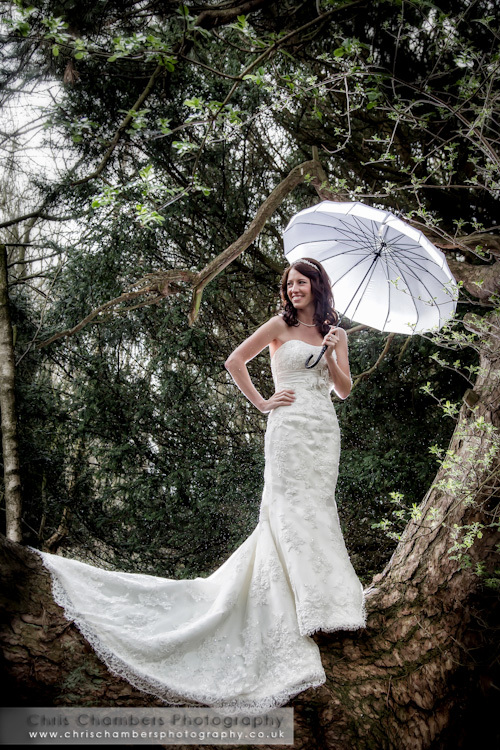 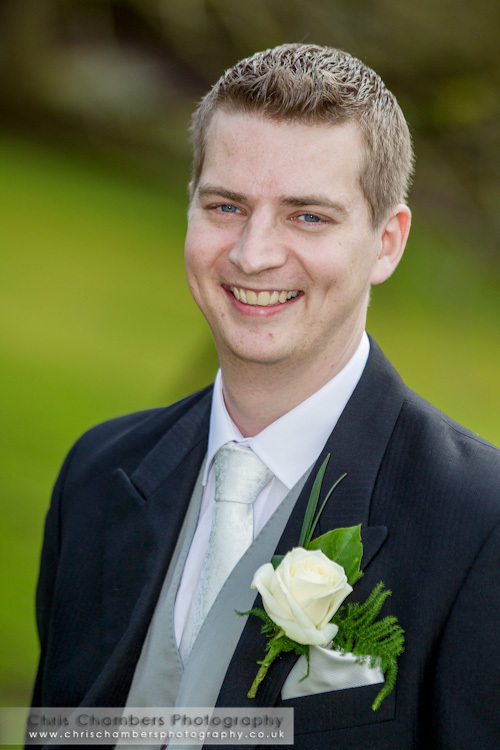 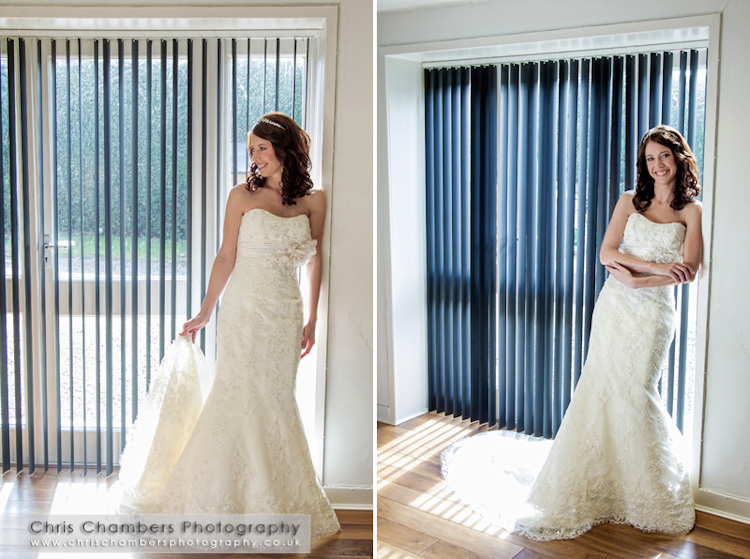 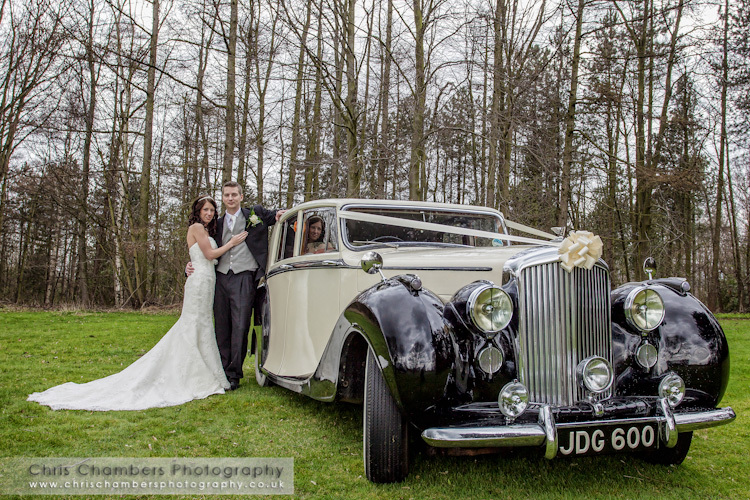 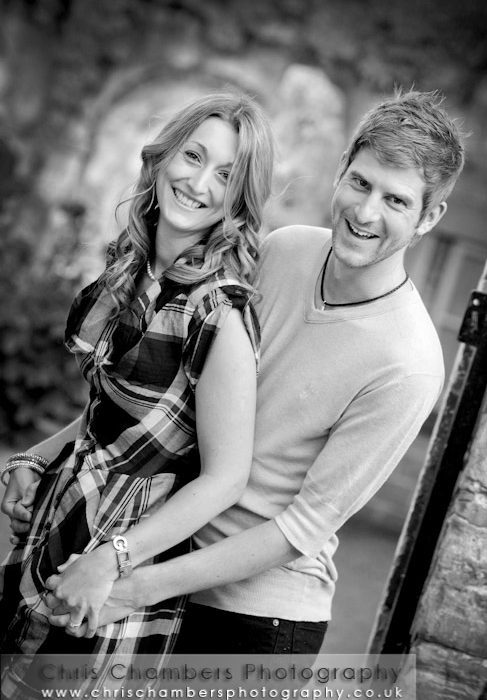 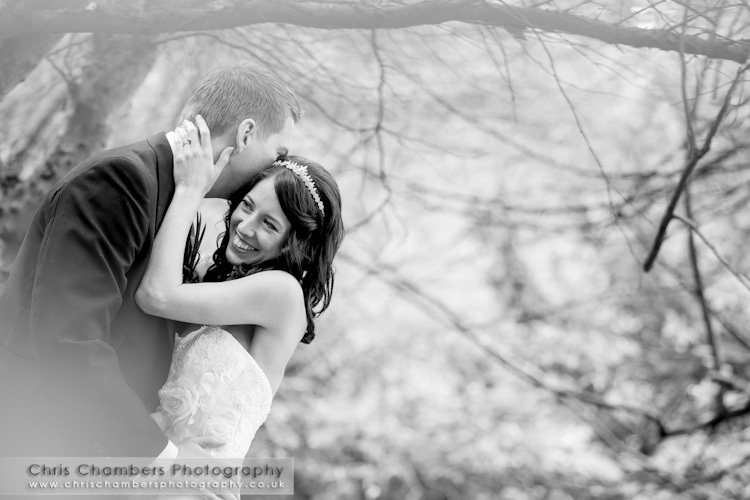 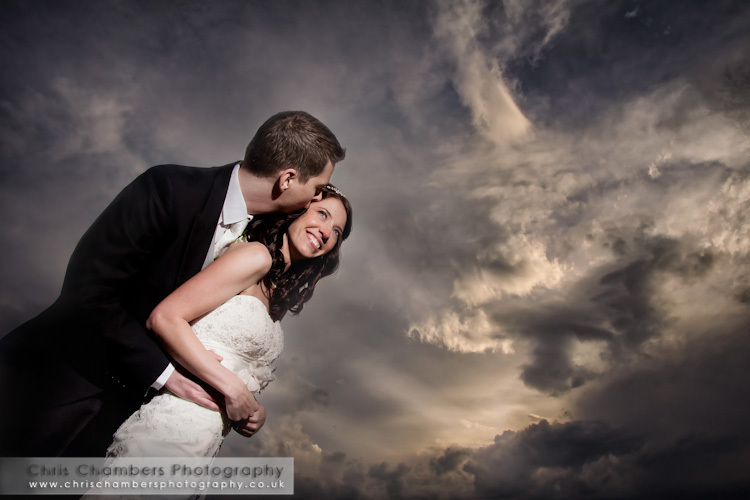 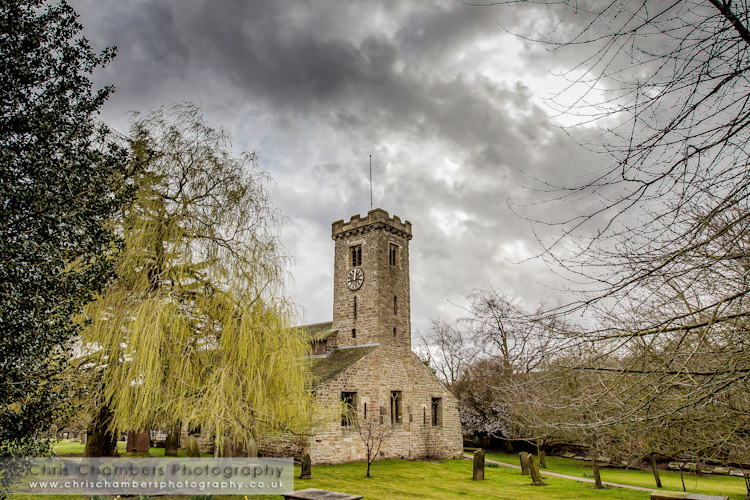 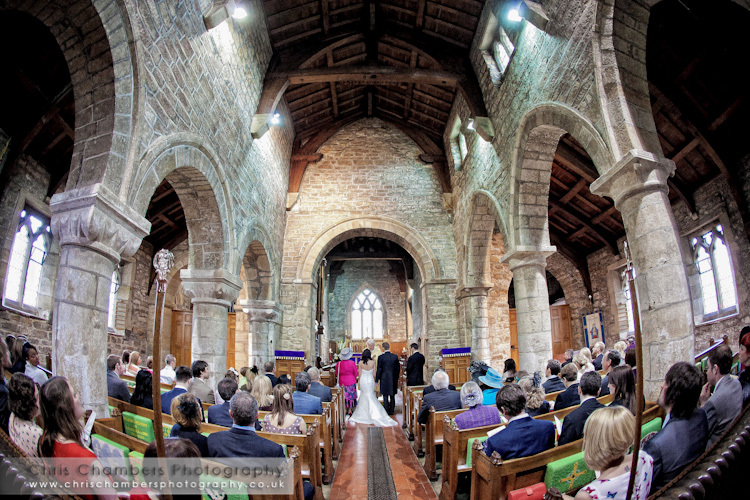 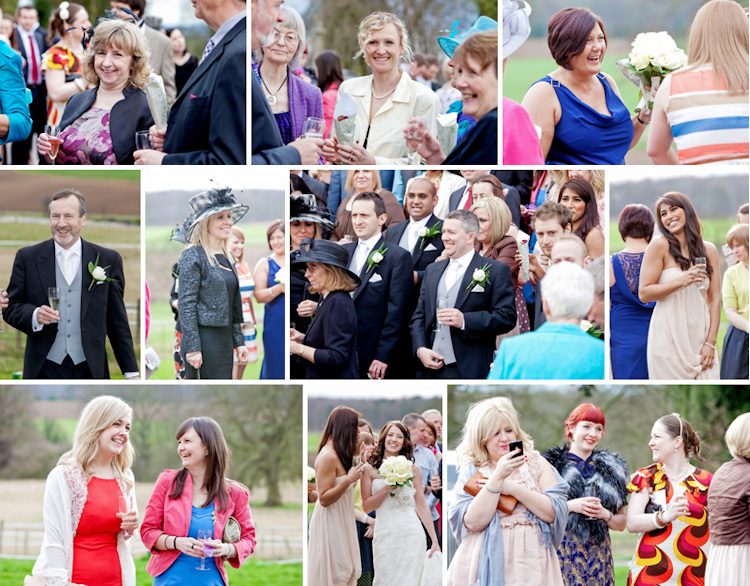 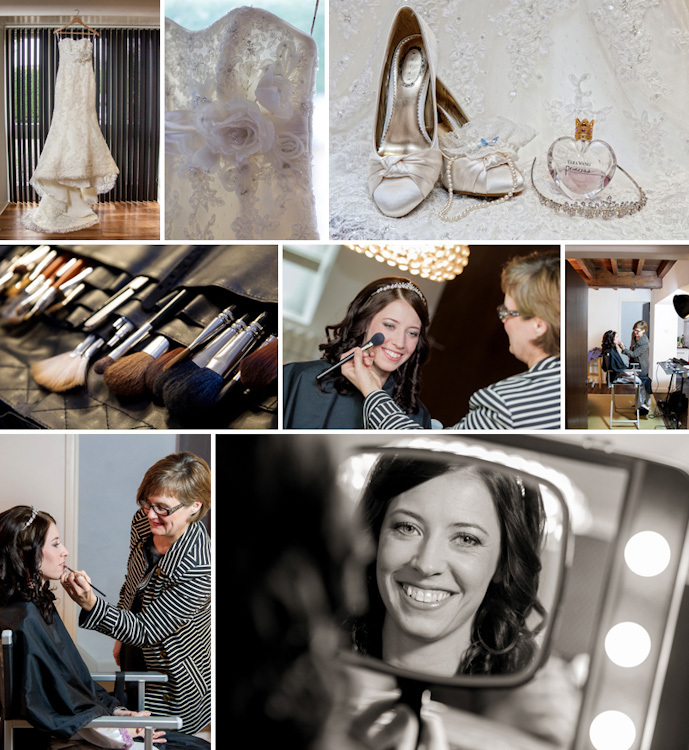 Nick and Rebecca were married near East Keswick between Leeds and York. 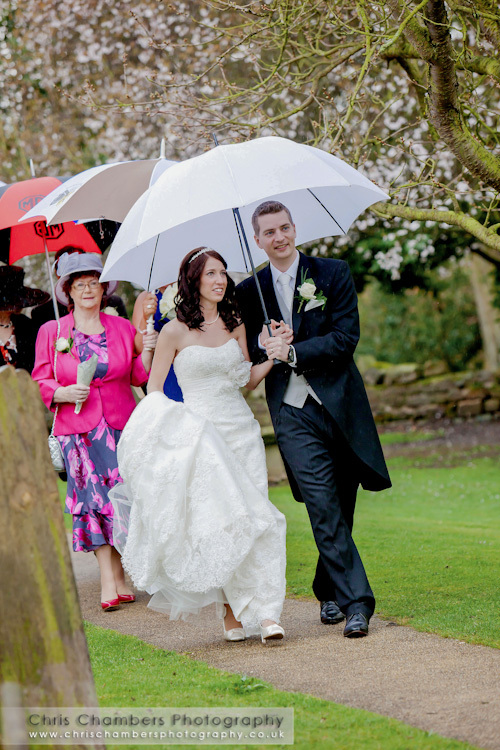 With the weather forecasters edging their bets with a forecast of rain and sun we were set for the worst. 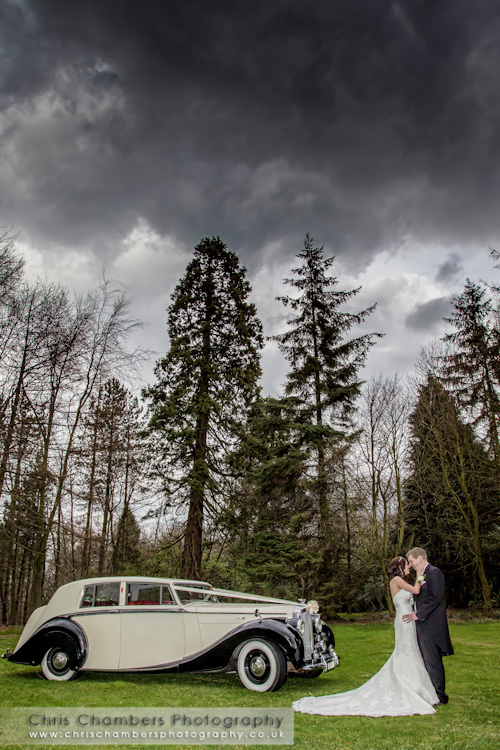 Thankfully the rain held off until during the ceremony and although we had a quick dash to the cars as we left church we were soon driving out of the rain as we headed towards York and Hazlewood Castle. 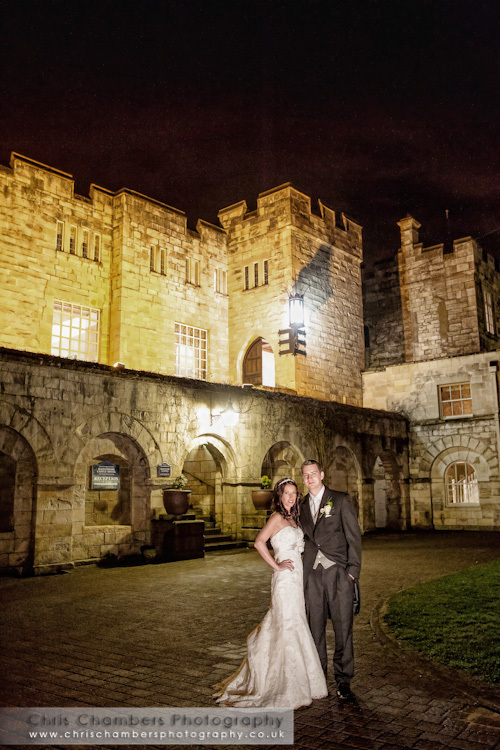 Before reaching Hazlewood castle we stopped off for a few photographs of Nick and Rebecca at a great location I’d spotted recently. 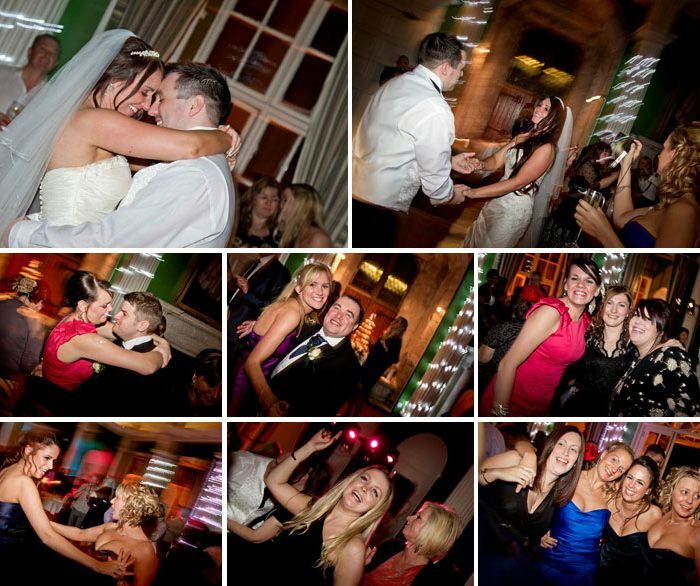 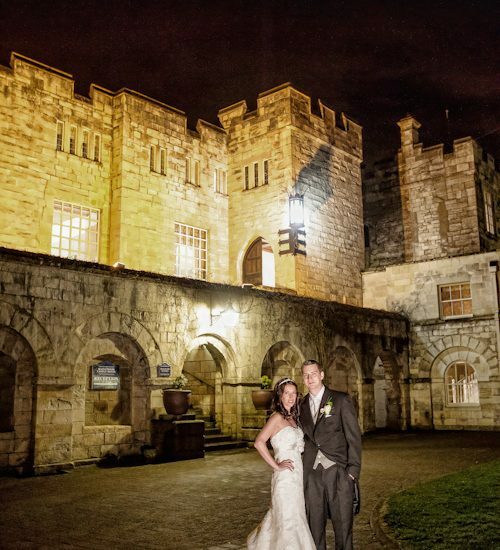 this not only allowed Nick and Rebecca some more time together it meant the guests were able to arrive at Hazlewood Castle before us and so be there to greet the bride and groom upon their arrival. 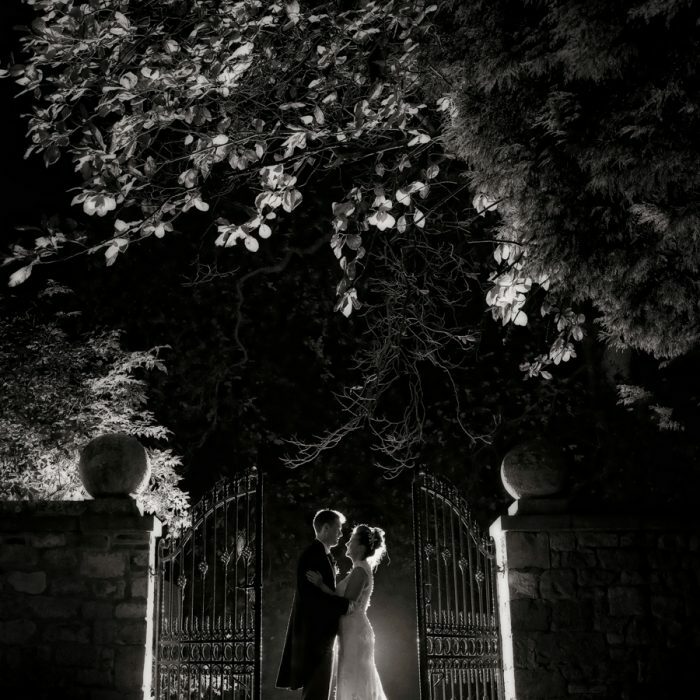 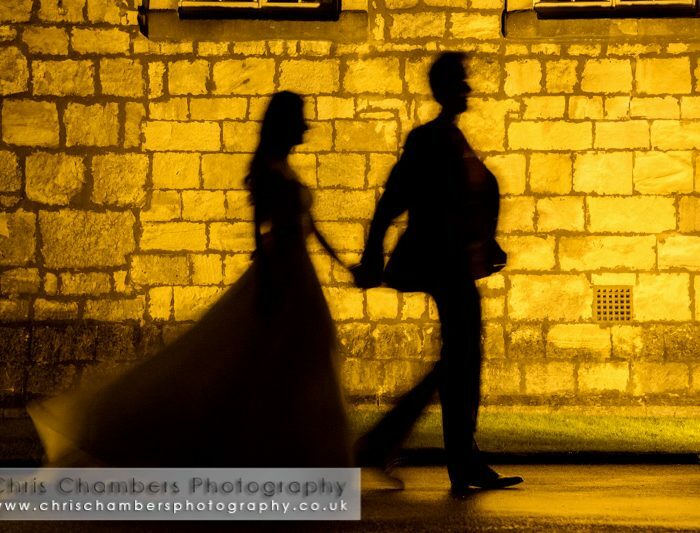 The weather thankfully played ball throughout the afternoon and into the evening meaning just after first dance we were able to take Nick and Rebecca outdoors for a set of night time photographs, a stunning end to their wedding album.